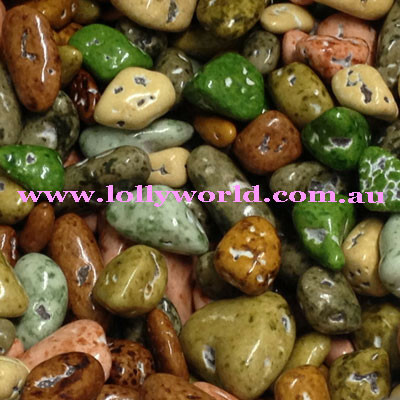 Chocolate River Stones are a chocolate with a candy coating that look like little rocks that should be at the bottom of your fish tank, not on your cake. Very popular for cake decorating when doing a truck theme. Add chocolate coated honeycomb broken up to look like boulders breaking. They taste like a Smartie just the shell is not as crunchy.